Chicken and corn combined to make a savory soup. The egg creates a colorful "Flower" on a light broth. 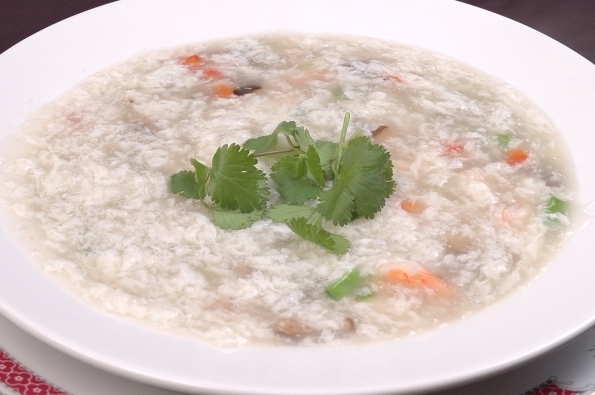 An exquisite soup of white chicken & chinese vegetable medley accented at your table with hot rice. Everyone's favorite! This classic oriental soups is thick with pork-filled wontons. 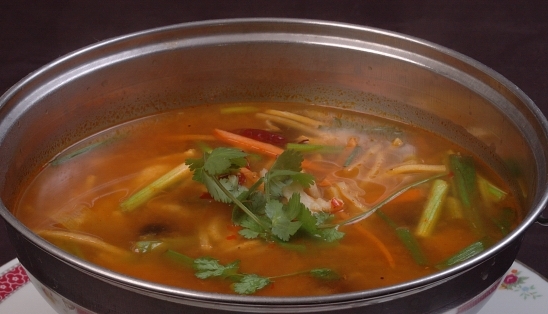 A spicy soup of chicken, tofu & vegetables in a thick peppery broth. 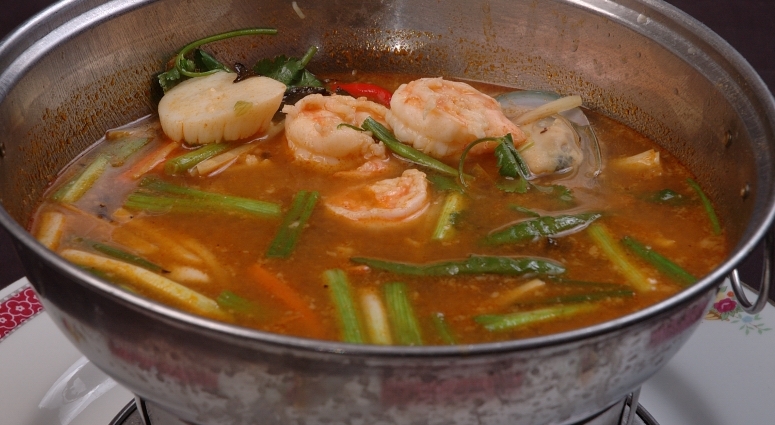 A spicy soup of shrimp, scallop & vegetables in a thick peppery broth. 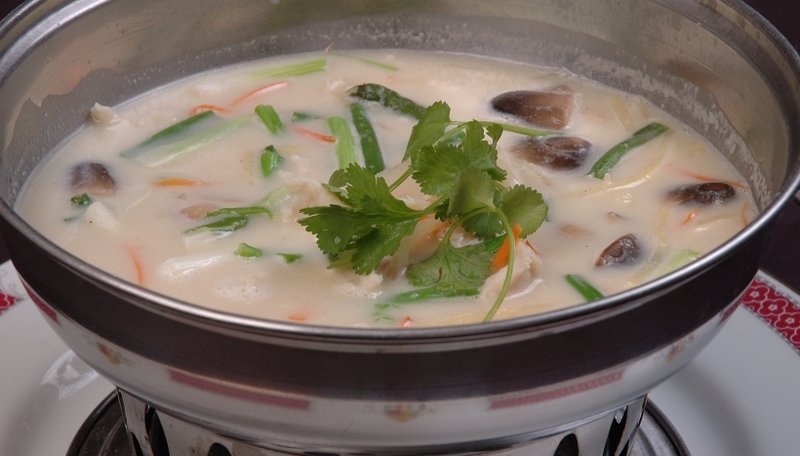 Chowder of shrimp, scallop in an egg white enriches broth. Garnished with black shitake mushroom, snow peas, peas & carrots. Shrimp & scallops with cream corn, peas and carrots. Our family made delicate wonton, pork & chinese vegetables in chicken broth. Spicy sour chicken soup with lemon grass & chili. 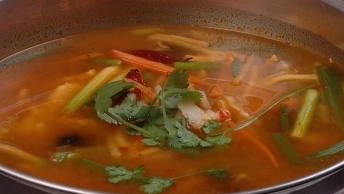 Spicy sour Shrimp soup with lemon grass & chili. Tender of chicken breast cooked in coconut milk and lemongrass. Jumbo shrimp, scallops, mussels in a spicy broth with a touch of lemongrass and fresh basil.